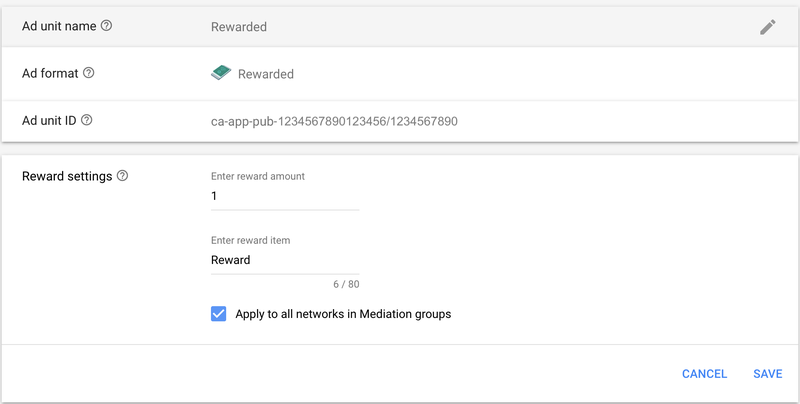 This guide is intended for publishers who want to use the Google Mobile Ads SDK to load and display ads from Chartboost via mediation. 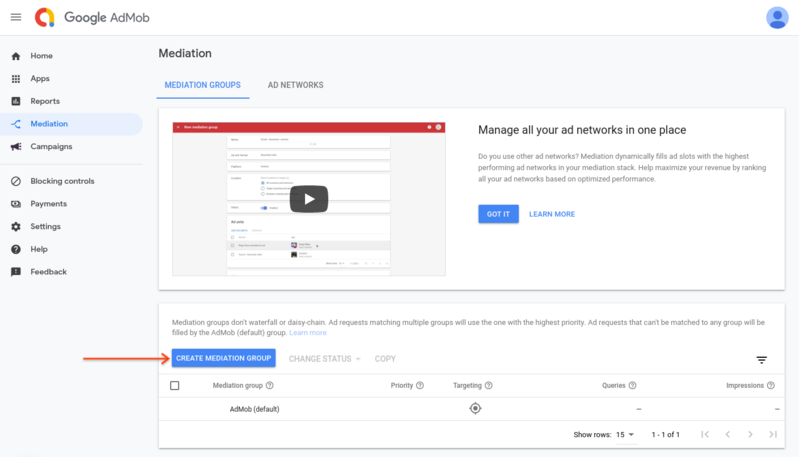 It covers how to add Chartboost to an ad unit's mediation configuration, how to set up Ad Network Optimization (ANO), and how to integrate the Chartboost SDK and adapter into a Unity app. Sign up for a Chartboost account and log in once your account is verified. Click the + APP button on the left sidebar. Fill out the form and click Save to add your app to Chartboost. If your app supports both Android and iOS platforms, you need to add each of them separately. Create a new campaign to enable ads for your app by navigating to Campaigns > Publishing from the left-side menu and click Add a Campaign (or Add Campaign at the top right corner of your dashboard if you already have other campaigns) and choose Network Publishing when prompted. Enter a Name for your publishing campaign. Select the Platform that your app supports. If your app supports both platforms, you need two Campaigns, one for each. Then, add your app to the Apps Publishing this Campaign. Click Save to finish adding the campaign. You'll now obtain all the parameters that will be used in setting up the ad unit ID in the next section. In your Chartboost dashboard for your app, navigate to App Settings > Basic Settings to locate your App ID and App Signature. AdMob requires the Chartboost User ID and User Signature for setting up your AdMob ad unit ID. You can find these parameters on your Chartboost dashboard by navigating to Tools > API Explorer. Your User ID and User Signature are located under the Authentication section. 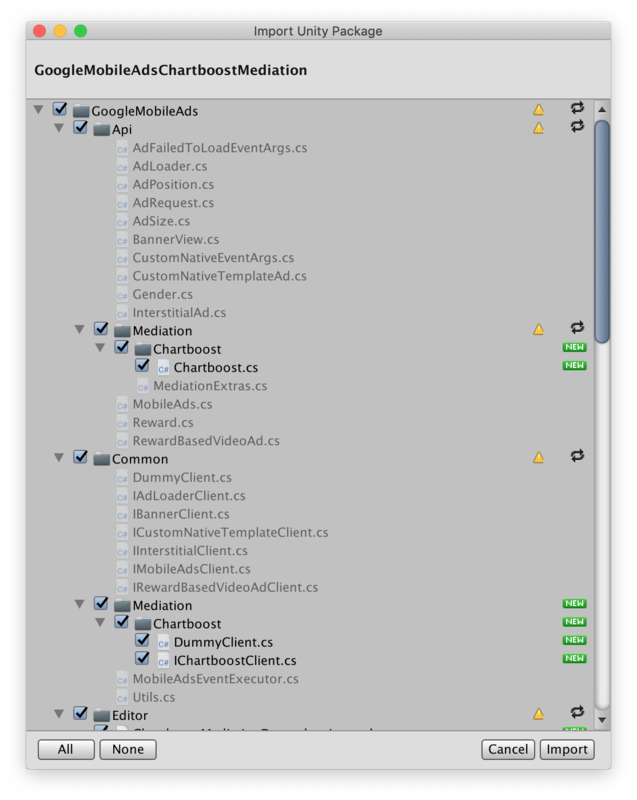 You need to add Chartboost to the mediation configuration for your ad unit. First sign in to your AdMob account. Navigate to the Mediation tab. 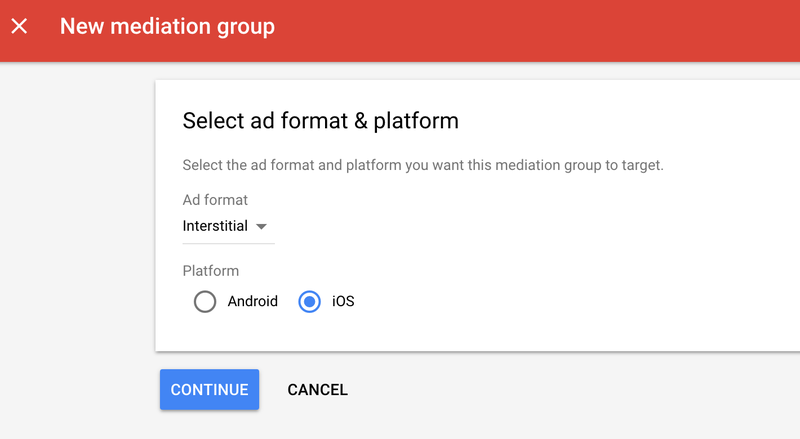 If you have an existing mediation group you'd like to modify, click the name of that mediation group to edit it, and skip ahead to Add Chartboost as an ad source. In the Ad Sources card, select Add Ad Network. Then select Chartboost. Enable the Optimize switch. Enter your User ID and User Signature obtained in the previous section to set up ANO for Chartboost. 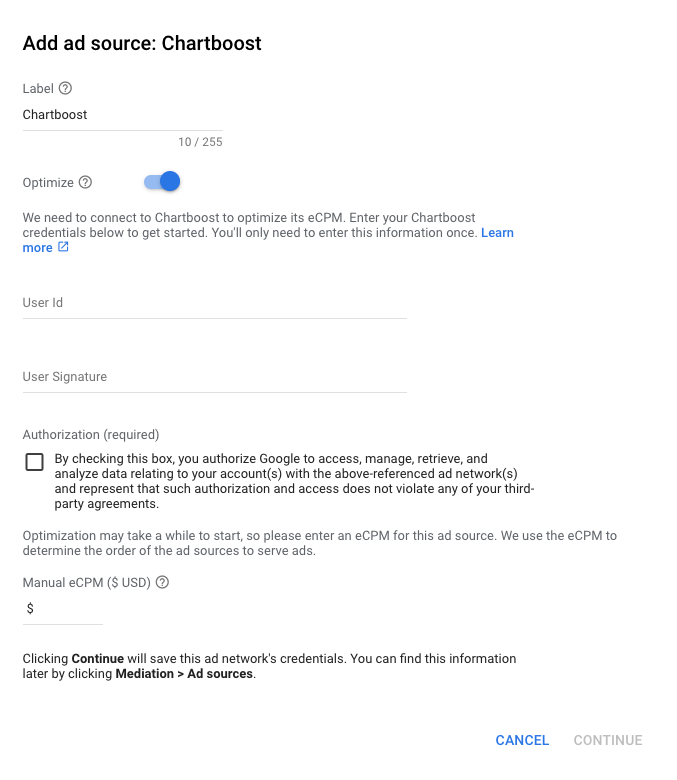 Then enter an eCPM value for Chartboost and click Continue. Next, enter the App ID and the App Signature obtained in the previous section. Also, enter an Ad Location (such as "Game Over Screen") that uniquely identifies this placement in your app. Chartboost Ad Locations (Named Locations) are simple names representing a place in your app where you want to show an ad. AdMob sends requests to the location specified in the settings. Once requests are sent, Chartboost will add the location to its dashboard for reporting purposes. Note: AdMob is able to estimate CPMs for the top three Ad Locations in your Chartboost app. All other locations will be represented with a blended CPM. 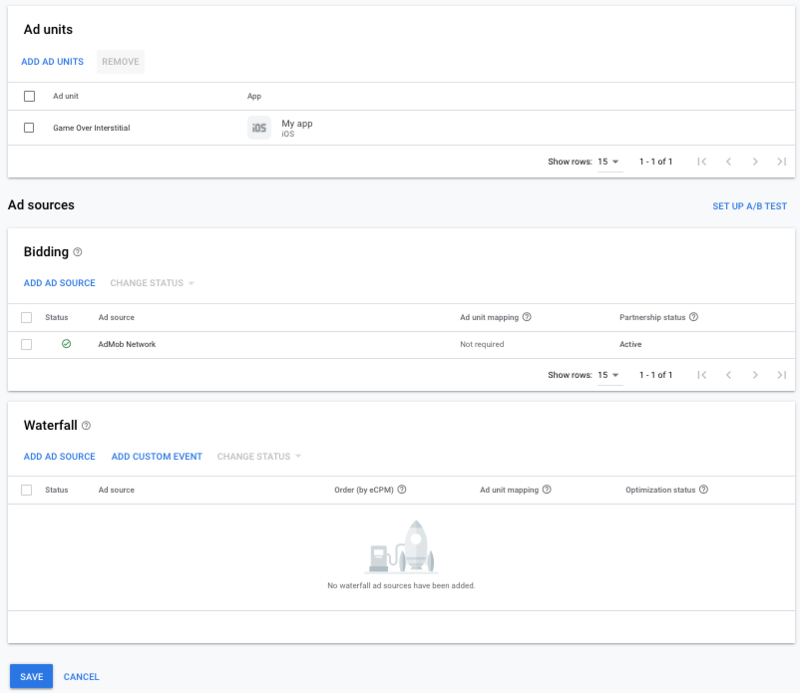 In the Chartboost dashboard, your Ad Locations can be revealed in the Basic Settings page by clicking Advanced Settings. See the Chartboost's Named Locations guide for more details. Finally, click Done to add Chartboost as an ad source, and then click Save. Give your mediation group a name, and select locations to target. 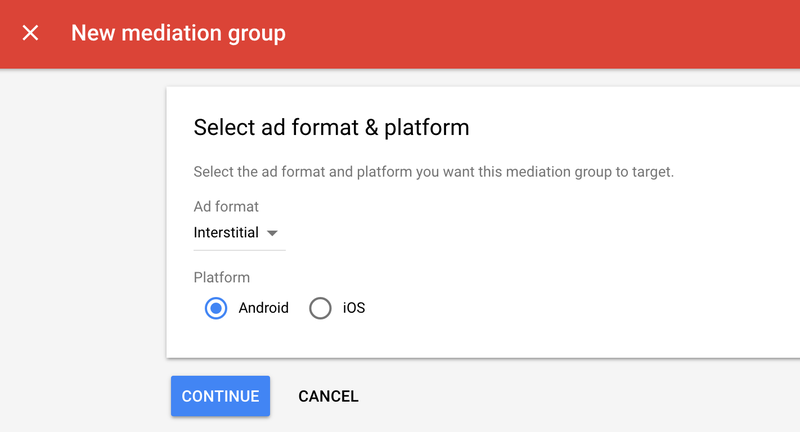 Next, set the mediation group status to Enabled. Then click Add Ad Units. Next, enter the App ID and the App Signature obtained in the previous section. Also, enter an Ad Location (e.g., "Game Over Screen") that uniquely identifies this placement in your app. 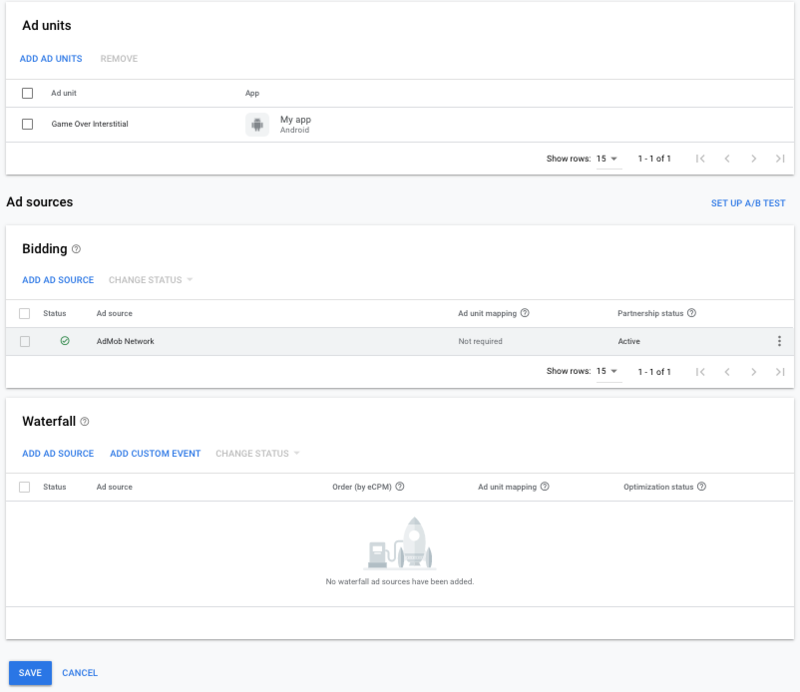 In the Chartboost dashboard, your Ad Locations can be revealed in the Basic Settings page by clicking on Advanced Settings. Please see Chartboost's Named Locations guide for more details. Finally, click Done to add Chartboost as an ad source, and click Save. If you don't check this setting, the Chartboost adapter passes back the reward specified in the Chartboost UI. Download the latest version of the Chartboost SDK and extract the chartboost.jar to the Assets/Plugins/Android directory of your Unity project. 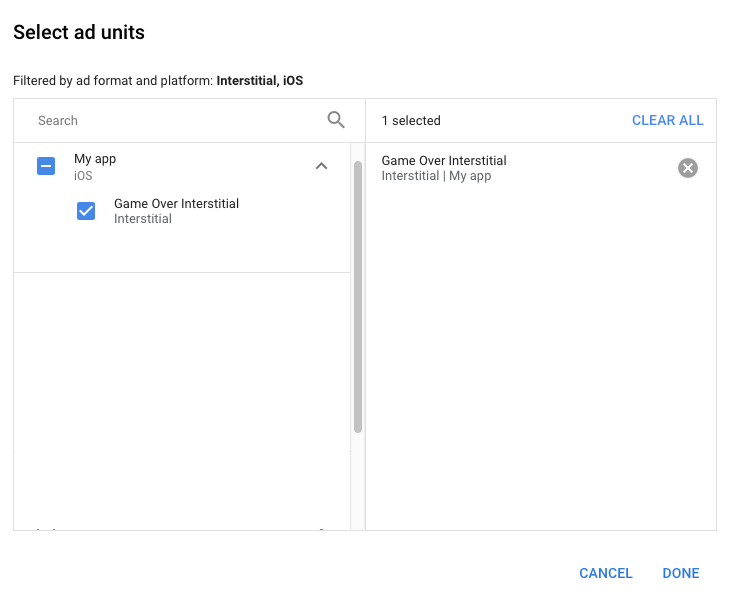 Download the latest version of the Google Mobile Ads mediation plugin for Chartboost and extract the GoogleMobileAdsChartboostMediation.unitypackage from the zip file. 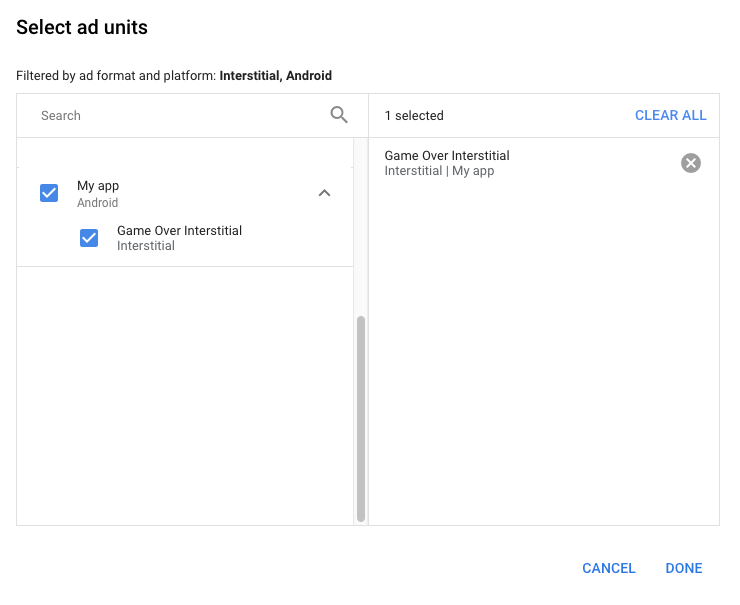 Download the latest version of Google Mobile Ads mediation plugin for Chartboost and extract the GoogleMobileAdsChartboostMediation.unitypackage from the zip file. In your Unity project editor, select Assets > Import Package > Custom Package and find the GoogleMobileAdsChartboostMediation.unitypackage file you downloaded. Make sure that all the files are selected and click Import. No additional code is required for Chartboost integration. Test ads can be enabled for your app from Chartboost's dashboard under the APP SETTINGS > Basic Settings, as shown below. Once test mode is enabled, you can request ads using the ad unit ID created earlier and receive a Chartboost test ad. That's it! You now have a working mediation integration with Chartboost. No additional steps are required for iOS integration. The section below shows you how to enable or disable personalized ads for Chartboost. The Google Mobile Ads mediation plugin for Chartboost version 1.1.0 includes the Chartboost.RestrictDataCollection() method. The following sample code restricts data collection for Chartboost. 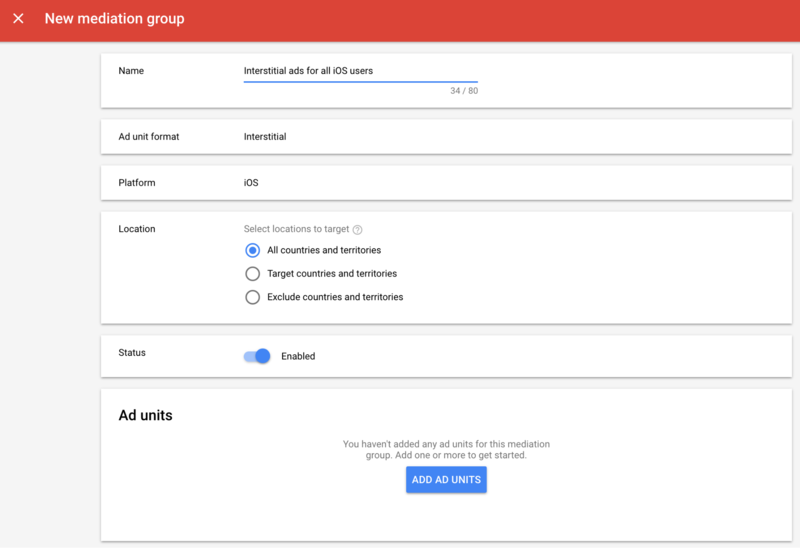 If you choose to call this method, it is recommended that you do so prior to requesting ads via the Google Mobile Ads SDK. See Chartboost's GDPR article for more details.